On the 2nd of June, 2005, Iori Veraga was convicted of two counts of Conspiracy and four counts of Misappropriation, details listed below. According to the charges Veraga’s co-conspirators were Jimmy Maladina, Henry Fabila and Herman James Leahy and the offences took place between the 1st of September, 1998 and 28th of February, 1999. The case is one of very few successful prosecutions to follow from the National Provident Fund Commission of Inquiry. On the 19th of October, 1998, Veraga was contacted by Maladina to undertake a valuation of property, Waigani Land in Hohola, Port Moresby. At the time, Maladina was the managing partner of the law firm Carter Newell Lawyers. Veraga was representing his company, Veraga Valuation Centre, Pty Ltd. Maladina and Veraga had made an agreement to share the professional fees on a 50% basis. The Waigani Land is a 9.8 hectare piece of undeveloped land located in Waigani, advertised for lease as of 9th April, 1998. This lease was granted to ‘Waim No. 92 Pty Ltd’ on the 10th August, 1998 and was for a period of 5 years, commencing on 14th September, 1998. Veraga was contacted on the 19th October, 1998 by Leahy, who was the corporate secretary for the NPF, asking for a quotation of his professional fees for the valuation. On the 21st October, 1998, Veraga was contacted by Fabila, who was the managing director of the NPF. Fabila wrote to Veraga instructing him to undertake the valuation of the Waigani Land property and had agreed to his fee of K60,300. The National Provident Fund (NPF) had then accepted Veraga’s fees before the valuation of the property had been carried out and before the Valuation report had been submitted. Payment was received by Veraga after receiving a call from Maladina and being instructed to meet him at his office to receive payment. Upon receiving payment, Veraga had drawn a cheque of K30,000 made payable to ‘cash’. This cheque was given to Maladina as per the agreement made between them to share the professional fees by 50%. Veraga conducted the valuation of the Waigani Land property on the 20th October, 1998 and charged the NPF his professional fees of K630,000. The land was valued at K14,700. The Valuation Report was given to Fabila on the 29th October, 1998. The state argues that these fees were excessive and that Veraga’s company did not follow the necessary tender procedures. Mr Noel Wright was the Deputy Managing Director of NPF at the time and was responsible for finance and investments. He was alerted by Mr Salome Dopeke, who was the Chief Accountant of NPF, of the invoice of K60,300 for Veraga’s fees. Mr Wright claimed they were ‘too excessive’ and in Novermber 1998 wrote to Veraga asking him to justify his fees. Wright highlighted that board approval was needed prior to the payment of Veraga’s fees. Soon after this occurred, Dopeke was called into Fabila’s office, as instructed by Leahy, and was told to pay the fees and Leahy will have the board sign the necessary papers later. Mr Wright was then asked to resign on 9th Dec 1998 and Dopeke also left the NPF in February 2000. On the 19th October, 1998, Veraga was also requested for a quotation in respect to the ‘NPF Tower’, now named Deloittes Tower. The NPF Tower incorporates two business leases in Granville, Port Moresby. The land area covers 0.3035 hectares and consists of an 18 storey office complex situated in the Central Business District. The property was owned then by the NPF and now, its successor, the National Superannuation Fund (NASFUND). Veraga completed his valuation of the NPF Tower on the 20th January, 1999 and valued the property at K87,854,500. Upon conducting the valuation of the NPF Tower property, Veraga charged the NPF his professional fees of K250,000. However, Fabila argued against this amount, and instead offered K175,000, which Veraga then accepted. Vegara then had drawn a cheque of K87,500 made payable to Carter Newell Lawyers. This cheque was received by Maladina as per the agreement between Maladina and Veraga to share the fees by 50%. Mr Rod Mitchell (who was the Chief Executive Officer of NPF and is now the current Chief Executive Officer of NASFUND) gave evidence that major transactions require the calling of tenders, for instance of valuations over K30,000. However, in the case of Veraga and his valuations, no such tenders had been followed. 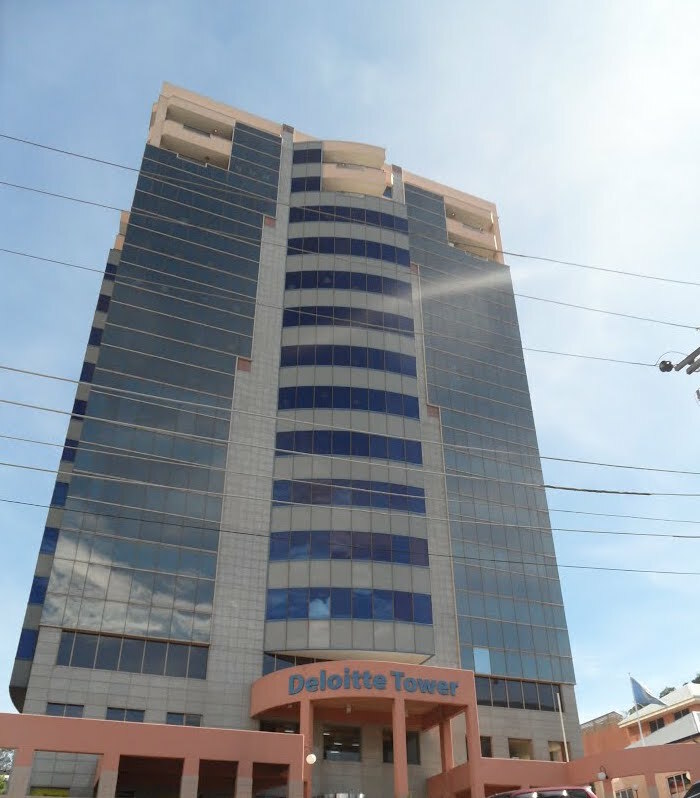 He also stated that a reasonable fee for the valuation of the Deloittes Tower would have been no more than K20,000 and found it unbelievable that fees of K175,000 had been paid to Veraga. Furthermore, he notes that Veraga’s valuation of the Deloittes Tower was almost double the amount given by many other valuers. Dorothy Misitom (formerly known as Dorothy Sahoto) and her boss Barara Perks are employed at Carter Newell Lawyers and are responsible for accounting and finances within the company. Ms Perks gave evidence that a K87,500 cheque which had been paid into accounts at Carter Newell Lawyers had been signed and received by Angeline Sariman, who is a lawyer employed at Carter Newell Lawyers, and is also married to NPF’s corporate secretary, Herman Leahy. Of eight witnesses who were present, four witnesses were valuers with a combined value of 132 years’ experience in the industry. All four of the valuers had testified in their professional opinion that the fees and valuations provided by Veraga was ‘high and excessive’. The first of the valuers was Mr Mark Kelep, who was the Valuer-General of PNG from 1978-1983. He provided a valuation of the renamed Deloittes Tower with an Australian colleague, Mr John Purcell, upon instructions from the NPF on 2nd June 1999. At the time of inspection, between 23rd and 24th June, 1999, only a few floors of the tower block had been rented. The valuation of the Deloittes Tower, upon factoring in loss on rentals, had been made at K35 million. The professional fees for the valuation were K18,500, which was significantly less than the K175,000 as charged by Veraga. The second valuer was Mr Paul Ikupu, who was the President of the PNG Institute of Valuers and Land Administrators in 1980s. Ikupu provided a valuation of the Deloittes Tower as per the instruction by Mr Rod Mitchell (who was the new CEO of NPF). Ikupu was instructed to value the property as of January 1999 and came to the value of K37,000,000, which was prior to developments made. The fees charged were K8320 which accounted for hours worked. Ikupu also maintained that the amounts charged by Veraga was ‘grossly excessive’. He also argued that the payment of commission for Maladina was improper. The third valuer was Mr Mero Voro, who had been employed at the Office of the Valuer-General for 32 years. Voro was the only valuer to have conducted an actual valuation of the Waigani Land property, done so at the request of the NPF Commission of Inquiry. The physical inspection was carried out on the 1st June 2000 and a Valuation Report was given on the 4th July 2000. Voro recognised the legal owners as ‘Waim No. 92 Ltd’ and also recognised that the land was still vacant and undeveloped with no improvements. The land was then valued at fair market value of K8 million as of 20th October, 1998. Voro utilised a rate of K81.63 per square metre to calculate this value, which he then compared to Vegara’s rate of K150 per square metre. Voro highlighted in his argument that usually the Valuer-General did not charge fees, but reasonable fees would have been between K10,000 or 15,000. The final valuer was Mr Kaira Dobi, who was the Chief Valuer with the Office of the Valuer-General. Dobi was instructed by the acting Valuer-General to conduct a valuation of the NPF Tower upon request by the Commission of Inquiry dated 26 May 2000. The request was for valuation of the property as at January 1999. Following a physical inspection, the market value of the property was assessed at K40 million as at 31 January 1999.